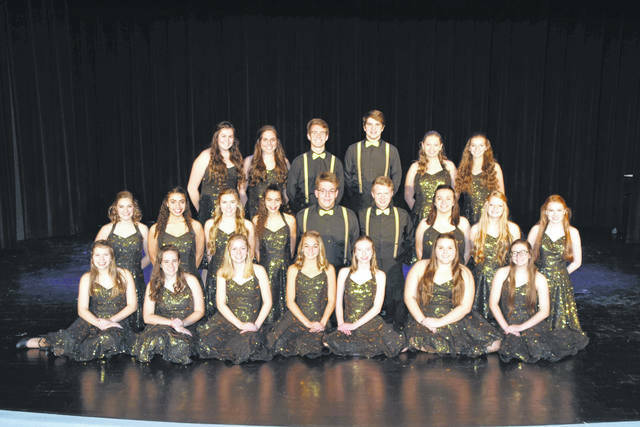 The West Liberty-Salem Show Choir, known as Sound Check, will perform its 3rd annual showcase at 7 p.m. Friday and Saturday, Nov. 30 and Dec. 1. The show is called “DANCE!” and features songs around that theme performed by 22 WL-S High School students. Tickets are $5 and can be purchased at the door. A new feature this year: On Saturday only, the WL-S Junior Show Choir (5th-8th grade students) will open the showcase.